Updated throughout, the new edition of this classic covers the latest trends in retailing and best practices in shopping center development. Illustrated in full color, 15 case studies describe the development process for a mix of town centers, urban entertainment centers, power centers, street front retail centers, and enclosed malls. Small strip centers to super regional facilities are covered as well as urban and suburban locations. Practical, how-to information on financing, planning and design, leasing, marketing and management, renovation, expansion, and repositioning cover the basics of development for all types of shopping centers. Highly regarded for comprehensiveness and quality, the Urban Land Institute's handbooks have provided real estate professionals with practical advice and authoritative how-to information on the development process for decades. 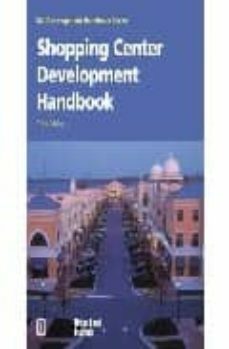 If you are involved in the development or approval of a shopping center, this book will tell you what you need to know.